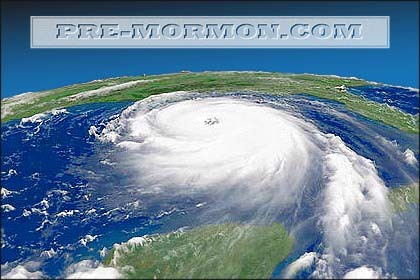 Premormon.com was launched at the beginning of October, 2010, by the site manager "Zimri Allen." It was originally designed as a means for presenting historical accounts of early American treasure-seeking, along with sundry references to the money-digging activities of some of the first Mormons. Due to various problems at the time, most of these accounts were instead posted to OliverCowdery.com -- including transcriptions of such rare texts as an 1792 pamphlet about the "Morris-town Ghost" and the 1887 manuscript, "Myths of Ononda." Thus, when "Zimri Allen's" site went on-line, its purpose was expanded and its contents were revised to include various other reader submissions, such as Robert F. Smith's "It Came to Pass" article and Joseph T. Antley's "Guide to Treasure-Seeking" presentation. A discussions forum was added to the site at the end of October, 2010 -- but few participants registered for this message board and it was subsequently abandoned. The contents of those discussions have been purged from the web, out of consideration for the privacy of the original posters. 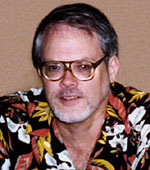 The original site featured an Adobe Acrobat series of presentations by Craig Criddle, entitled "Origins of the Book of Mormon." During the summer of 2012 that series was revamped, in MS Powerpoint format, under the name: "The Origins of Mormon Scripture." The ultimate home on the web for this creation has yet to be determined -- but excerpts from its contents will continue to be hosted at premormon.com. At the end of September, 2012, the site was transferred over to my ownership and control. 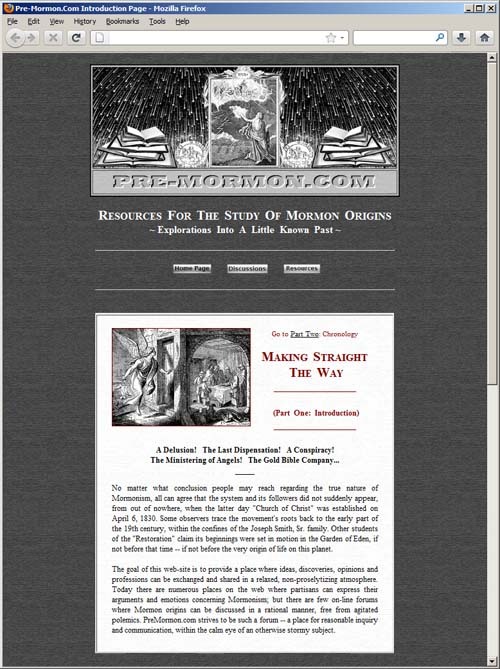 As time and circumstances allow, the updated contents of the old premormon.com domain will be re-posted at this new version of the site, along with various additions which previously did not make it onto its original web-pages.